Looking for a creative but cost-effective way to update your kitchen or bathroom? Look no further than glass tile! Glass tile is an affordable, stylish and fun way to update a room. It's also practical and, in functional rooms such as the kitchen and bath, practical and affordable are top priorities. Glass tile is often made from recycled glass so it is an environmentally friendly choice for your room upgrade. It's also easy to clean by simply wiping down with a damp cloth to remove any stains or streaks. 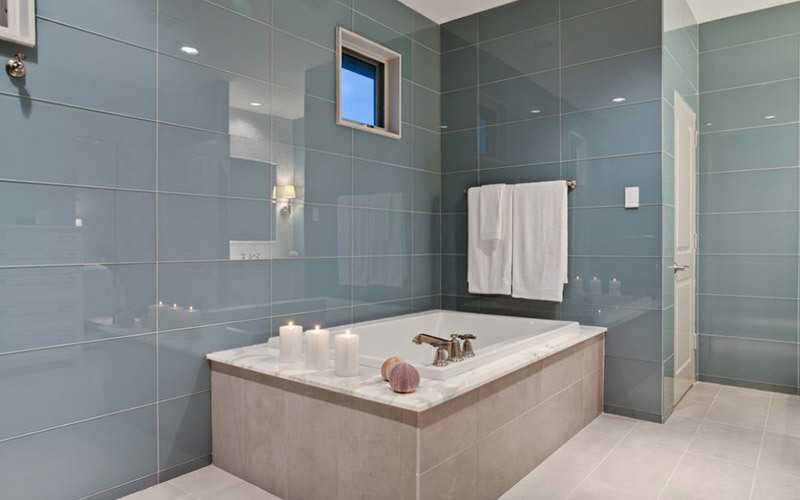 Perhaps the most popular reason people choose glass tile: the choices. Glass tiles can be shaped into small squares, long slender tiles, and round or octagonal shapes. 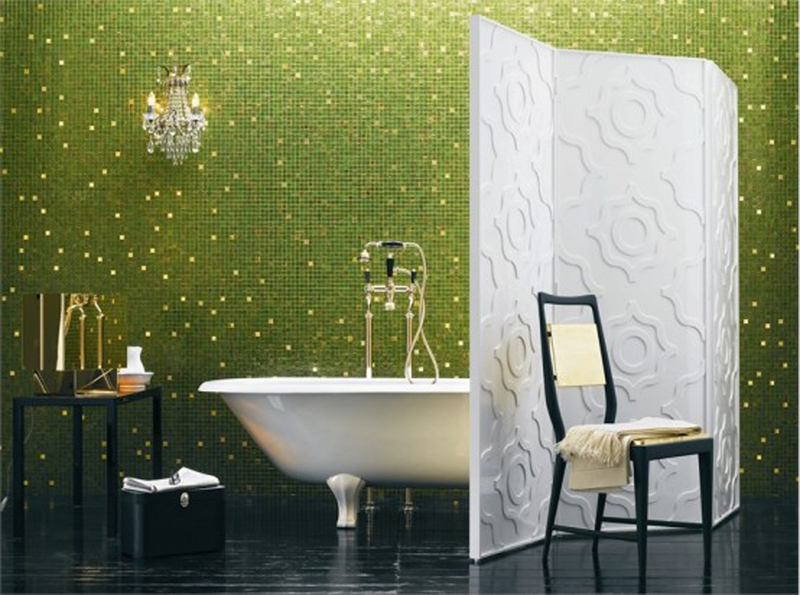 Different shapes or sizes of the same shape can be combined to create beautiful mosaics. Glass tiles are also available in just about every color you can imagine. Where can you use glass tile? Glass tiles can be used from floor to ceiling - particularly in a bathroom shower area. They are most often used in bathroom walls or kitchen backsplashes. Glass tiles are slightly transparent and reflect plenty of light which can open up these small spaces. Kermans Flooring in Indianapolis carries a wide variety of glass tiles in all shapes, sizes and colors. Schedule a free appointment with one of our design experts and we'll have samples ready and waiting for you to review when you arrive.